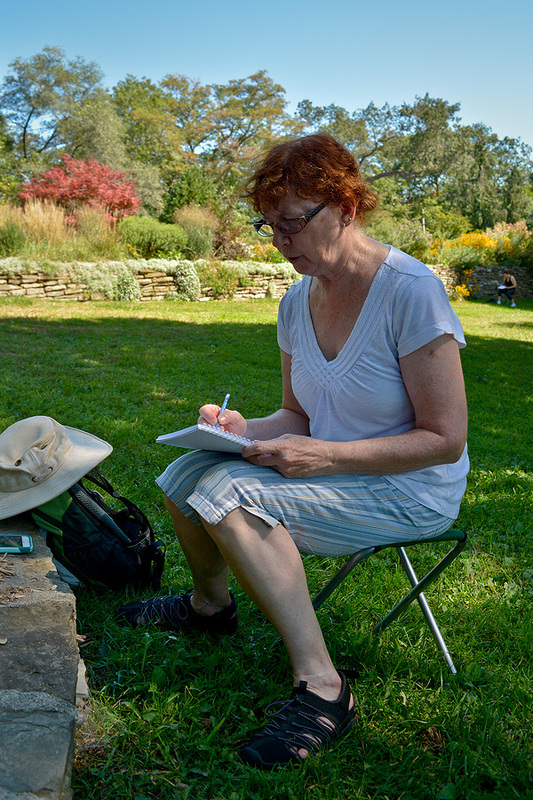 For the second week of the Adult NatureSketch program, the students spent the day exploring the Hillside Gardens that overlook High Park’s Grenadier Pond. Horticultural technician Sally Girdler was our guest Naturalist for the week. 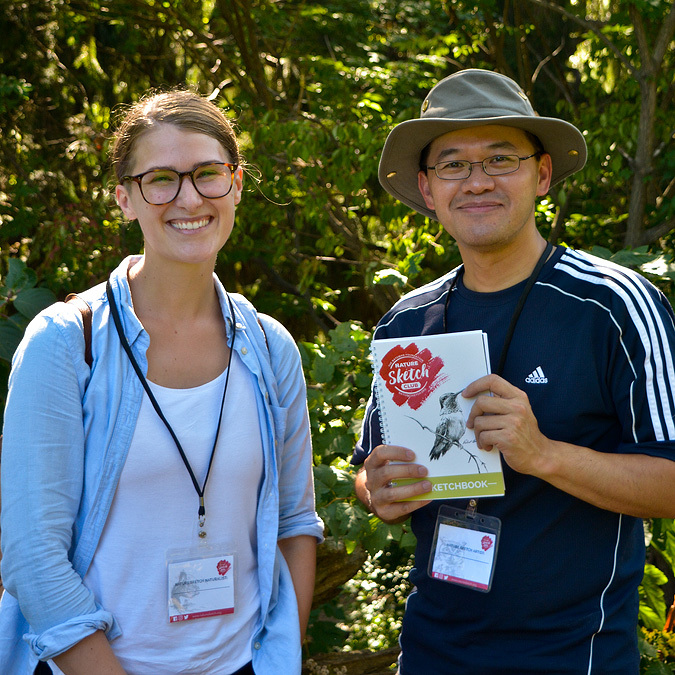 Sally provided valuable insights into the various plant and tree species found in the gardens so the group could better understand the complexity of their subject matter. Besides the regular art lesson, this area of the park has some lovely old cedar rail fencing which happens to be a recurring element in Bob Batman’s paintings. I thought this was important to discuss and also a nice way to connect our surroundings with Bob’s art. 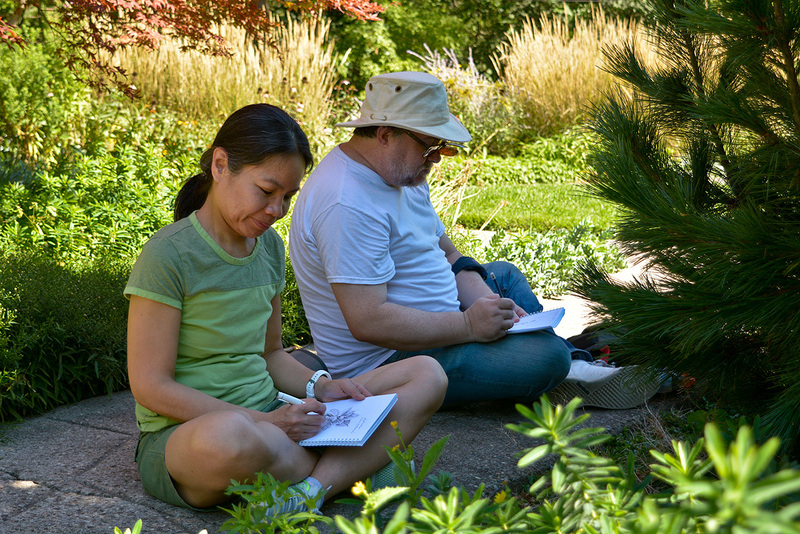 The class ended with the artists sketching a section of the fence using the techniques they’ve learned thus far. Next week is all about Birds!